VO Atlanta conference 2015. Various attendees and presenters. Well, when it comes to great performances, great ideas, great influences, examples and fun, it all happens at this conference. 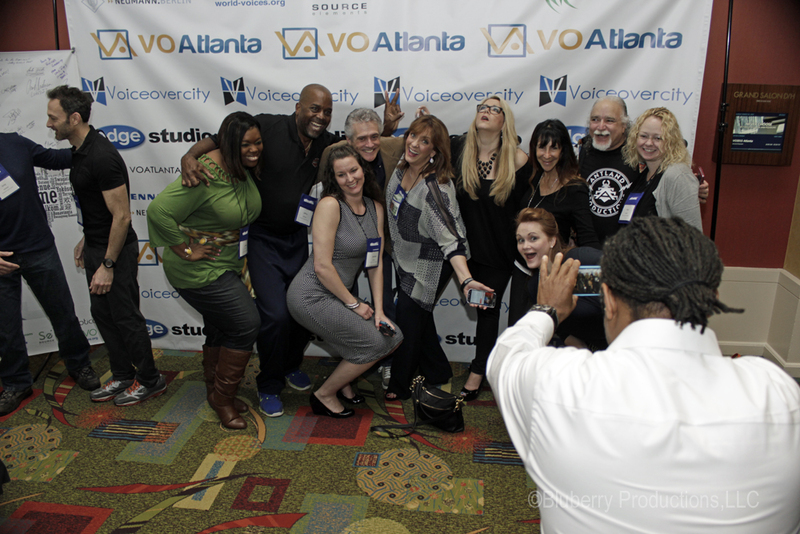 Now, only three years since its debut, the VO Atlanta conference is the largest voice over gathering of its kind in the southeastern United States. Hosted by the well known local outfit Voiceover City. having personally attended all three years I am able to tell you that it is NOT a scam NOR a waste of your money. Sure, it may seem expensive initially but if you are serious about your voice over education and ultimately flourishing career, it is a mere drop in the VO bucket to attend it. The wealth of input from experienced talent within the business is virtually endless as each year the presenters get more numerous and better! Before considering plunking down several hundred smackeroos, let me say this. I have three strong reasons why you should attend VOAtlanta, 1) You will take away so much applicable material your brain will fill quickly, 2) the connections you make will be lasting, and 3) Once you go you will wish you had long ago. Let me chat about all the great material. Having been in the business since 1974, I have really only scratched the surface. No, really. I mean that the field of voice over has changed so much since then and continues to evolve it, at times, seem insurmountable. Do NOT let that stop you. Look at it as an opportunity to learn all you can from the best in the biz. You will learn so much from so many in a very short period of time. VOAtlanta begins on a Thursday and ends on Sunday with one hell of an outgoing message. 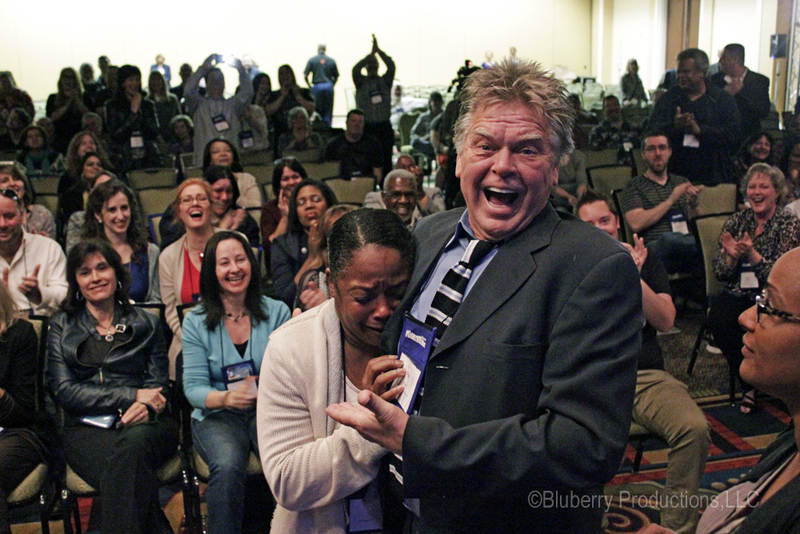 From beginning to end you will be engaged, enlightened, curious, attentive, dazzled and occasionally overwhelmed…one lady cried on the final day with tears of genuine gratitude when she received some voice over love from the great Pat Fraley Really, one of the most moving moments I have ever seen as a photographer! The room was filled with a bidding war of gifts from the conference presenters to the attendees. A wonderful display of adulation and support which went freely in both directions. This was just one small part of VO Atlanta. Connections are what this business and every business is all about. Who knows you? Do they know what you do? Do they know how good you are at it? Do they get excited about your enthusiasm for what you do? All these questions are the keys to obtaining what drives any business, connections. One ritual I love is the exchange of business cards. I know what you’re thinking. If we all do the same job as voice actors, why would we want the business cards of our competitors? Oh you silly readers! It is not that sort of conference! You are not there to sell anything, you are there to study and learn. 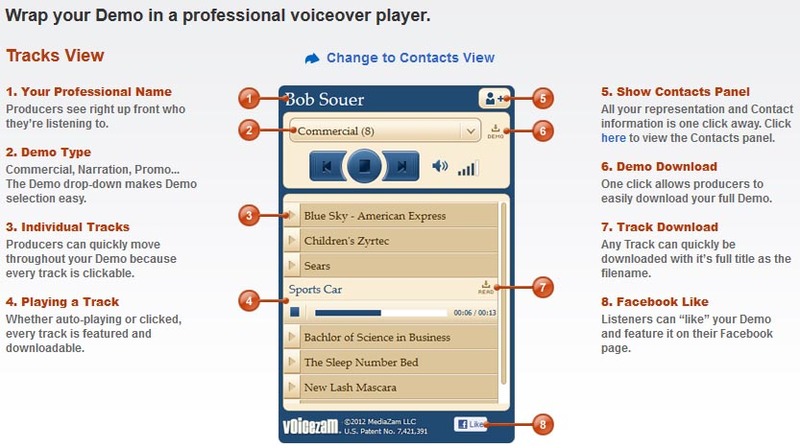 I can be honest in letting you know that one product I learned about while at VO Atlanta this year is Voicezam. It was one of the sponsors and it is a web-based demo player you purchase and construct to put onto your website. Full customization to fit your demo and all its fun categories! 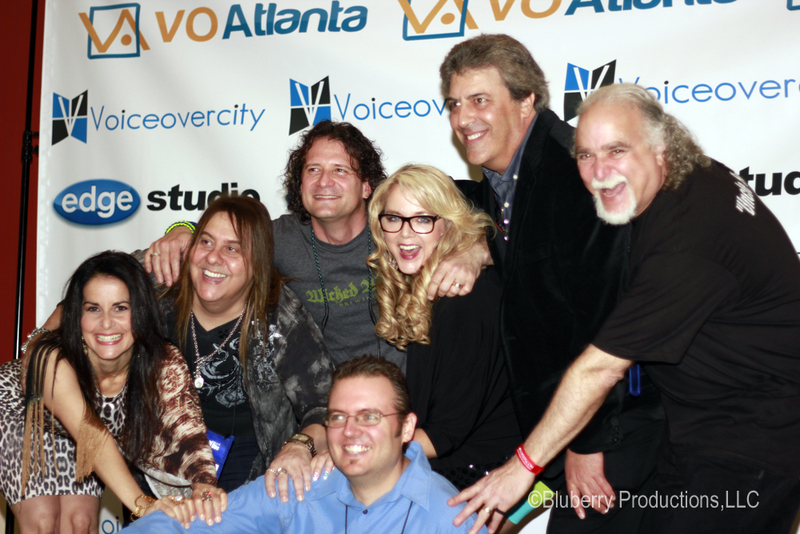 In all cases the connections you make at VO Atlanta will be valuable and it is in your best interest to nurture them both on the talent side and the productions side. There is this funny thing in life called regret. I know, I have been there and it is sometimes and always the wouldda, couldda, shouldda things we want to do but don’t seem to accomplish. Once you attend this voice over event you will be back. Perhaps not every year but that is okay. The fire inside you will always be lit and stoked when you do. the fun part is that as time goes on you notice some of your connections have grown. My goal is to grow to the point that organizer, Gerald Griffith, will invite me to host a panel discussion on a particular topic and after being in the business for this long, I surely have much to give back! Previous Previous post: Bluberry Food Shoot, How about Waffles?